At Discovery Dental Care we are always delighted to welcome new patients. From your initial consultation through to your treatment and ongoing care, we will take all the time we need to ensure your experience is as pleasant, enjoyable and as comfortable as possible. At Discovery Dental Care we offer an extensive range of treatments for all your family's general dental healthcare. We also provide further specific treatments including teeth straightening, cosmetic dentistry, dental hygiene services, tooth whitening and facial aesthetics. We're committed to delivering the highest standard of patient care and support. Our clinical skills and investment in training means we are a leading choice for the whole family. Combining our expertise and excellence in customer care, we'll directly address your patient needs and focus on getting to know you. NHS Dentistry offers a basic level of dental care, that will maintain the oral health of your whole family. Should you choose, you can always opt to have private treatment alongside NHS treatment, for instance, you can pay for a private white filling in your back teeth, or you can skip the waiting list for NHS brace treatment and pay for it privately. There are many advantages of private dentistry. Patients benefit from the latest equipment, materials and dental advances. We use higher quality amalgam (silver) and composite (white) filling materials. Private patients also benefit from priority emergency appointments. Private appointments are also longer, meaning the dentist can spend more time with you. We offer a private Membership Plan called Tayside Dental Plan. This allows our patients to make monthly payments and receive routine / preventative dental care. The amount paid per month is based on the existing dental treatment present. All routine dental care is covered, including white fillings. It allows patients to 'spread' the cost, resulting in no large dental bills. You also benefit from worldwide accident and emergency cover. Whether you’ve got toothache or a broken filling, we understand that accidents happen and that there are times when you need to see a dentist as quickly as possible. At Discovery Dental Care, we will always try our best to find you an appointment. In pain? Need an emergency appointment? Please call us as soon as possible on 01382 225421. We'll do our best to help! Discovery Dental Care is an established family-oriented dentist in Dundee. With a strong focus on prevention, we continue to provide dental and oral health care to the local community, where generations of families have visited us for over 90 years. We provide a full range of treatments, from comprehensive general dental care to more specialised treatments such as dental implants, cosmetic and aesthetic dentistry, adult orthodontics (braces) and anti-wrinkle treatments. We believe in minimally invasive dentistry, which means we gently restore your teeth. Located in the centre of Dundee, near The McManus Dundee's Art Gallery & Museum, we pride ourselves on our professional approach and friendly atmosphere. 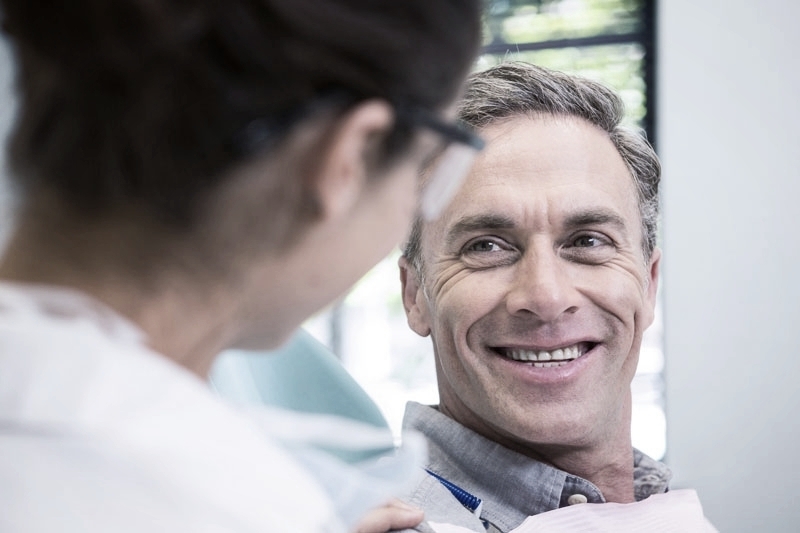 Our team are dedicated to making sure you understand what is happening before, during and after your dental treatments and that you are comfortable and informed at all times. We work together to keep your teeth and gums healthy and strong. Choosing a new dentist is a long-term decision - often for the whole family, not just you. Like any long-term relationship, your choice of dentist is built on trust, choice and communication. Together with excellent customer service, these are values at the heart of our dental practice. We will do our very best to make sure you come back to us time and time again. Many people are extremely nervous about visiting the dentist. At Discovery Dental Care we are used to looking after nervous patients and will do our best to put you at ease. Whatever your concerns are, please let us know. We have every sympathy with nervous patients and will take the time to talk with you and to understand and address your concerns.